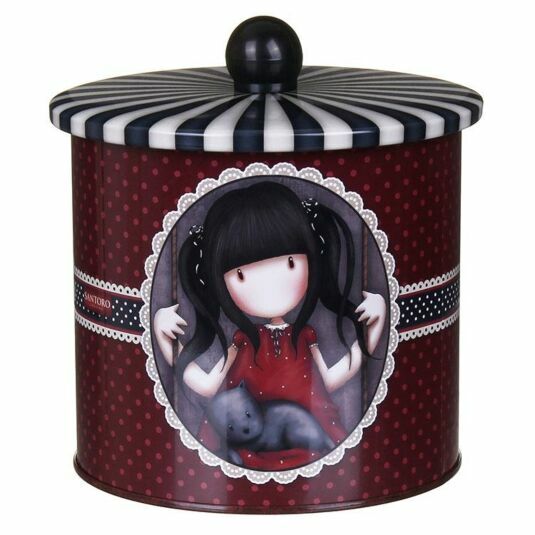 Add some style to your kitchenware with this unique and Gorjuss biscuit tin from Santoro, the perfect piece that offers functionality and fab design for your home! The barrel itself is cylindrical in shape with a large capacity interior; perfect for filling with your favourite chocolate and biscuit treats. 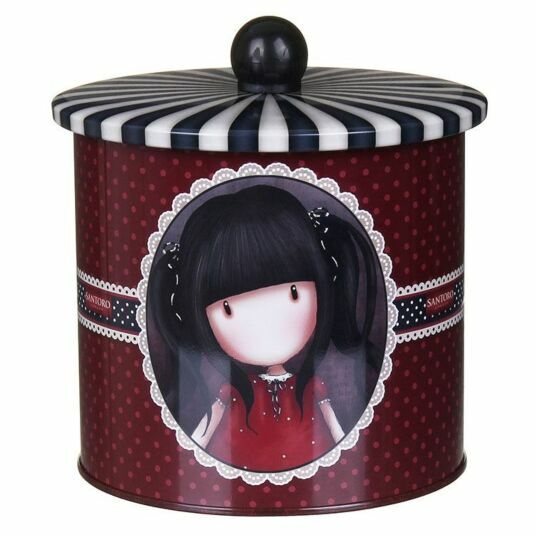 This biscuit tin features three different images of the Ruby girl, on a burgundy filigree-patterned background. The lid of this tin is covered with stripes, with a small black handle. Make snacking that bit more stylish with this Ruby Biscuit Tin, the perfect accompanying item to your favourite baked delights! This would make the ideal gift for a new-homeowner to proudly display on their kitchen counter.